When I think ‘buy one, get one free’, it usually applies to the smaller things in life… Like packets of biscuits. But Silver Cross have set the bar very high with a stupendous deal for new parents. It’s summer, so what better pram is there than the Silver Cross Surf to enjoy the outdoors with your baby? The Surf is an all-terrain reversible pram that is lightweight, easy to manoeuvre and has multiple recline positions and a large hood. Read our previous full review on the Surf pram for more information. Surf lovers, get in quick because for the month of February Silver Cross are giving away a free Pop Stroller with every Surf pram! Perfect for quick trips and travelling, the Pop Stroller is super-lightweight and features a fully reclining seat back and carry strap. 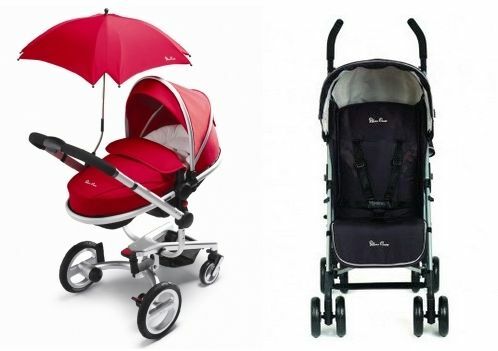 The Surf Pram is $1,199 – buy in February and receive the Pop Stroller, valued at $269 for free! Find your nearest Silver Cross retailer here. Check out our Chooser to compare single and double prams currently on the market.